One Red Dog Media has been delivering excellent music apps for years now. 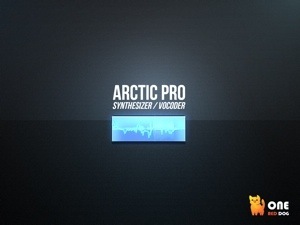 Arctic ProSynth arrives offering a modern subtractive, 4 voice polyphony, synth, vocoder, arpeggiator, and sequencer all wrapped into one neatly designed package. Arctic ProSynth isn’t trying to be anything but itself. A powerful in your face synth that can get loud and rude. Like your crazy old ex, but this is in a good way! As you can see from the above screen shot the GUI is clean and uncomplicated. All parameters are tucked away in their respective categories noted on each of the buttons taking you to each screen. Moving between screens is fluid without delays. Quick and responsive, are good words to describe navigating Arctic Pro. Nothing flashy or gimmicky, but don’t be fooled. 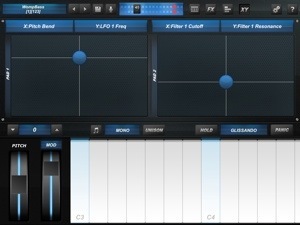 Arctic Pro has a lot of options available for you to create some big and complex sounds. The type of sound designing Arctic does best are big, brash, and fat. It wouldn’t be my first choice for pads or delicate types, but that’s not what its about anyway. 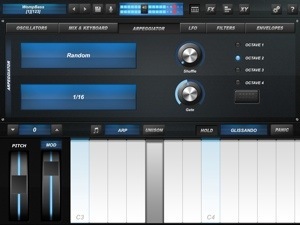 This is your goto synth for heavy, gritty and blasting sounds. To achieve these thick sound types Arctic Pro has 2 “Hyper” Oscillators for you to add increasingly dramatic “oomph”. These things take it up a notch that you don’t see a lot of elsewhere. With the adjustable ADSR envelopes, 2 multi-mode resonating filters, sub oscillator, and 2 LFOs with 3 wave shapes, independently sync-able destinations, and all the usual synth parameters with these unique Hyper oscillators, there is no shortage of creative possibilities. 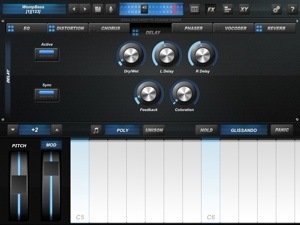 I’ve been enjoying using this to make some vicious bass-lines and leads. The usual scrolling keyboard is present along with a nice selection of scales to set. I’ve only hinted at the specifications. If you want the full list visit One Red Dog Medias Website or check the iTunes App Store for more details. Want to do an arpeggio? No problem. 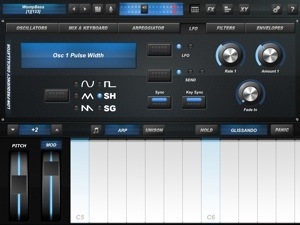 Arctic Pro comes with a 4 octave arpeggiator. Nothing special on this page, but for simple arpeggios it gets the job done. 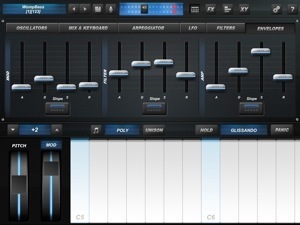 If you want to really get into a detailed sequence, try the built in 4 track 16×4 gated step Sequencer. 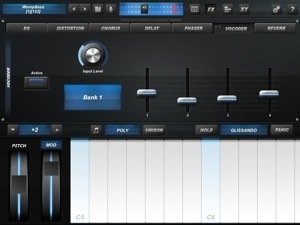 This will allow you to make some more complex arrangements with much more control over the notes and how each plays out. It should not be underestimated. 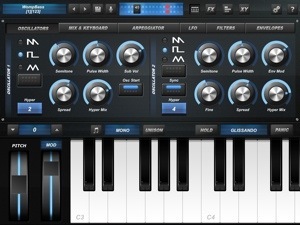 It can be MIDI synced, and has multiple modulation destinations. A variety of FX are included for expanding further on whatever you can imagine. There are a delay, reverb, chorus, distortion with 6 types, phaser, 3 band EQ, and the killer vocoder. The FX in general are functional, but not exactly the best I’ve ever heard. To be honest I find the reverb and chorus to be particularly weak. What is cool about the FX is that they can be easily set in any order you like by simply holding the FX named button and then drag and drop. Choosing the order of course impacts how they will sound. It’s the vocoder that stands out from the rest of the FX. Don’t try the vocoder with your built in mic, it’ll sound terrible. Plug in an iRig Mic or whatever you prefer, and then start using your voice to perform. Really, you gotta try it. Its a blast. Speaking of performing, Arctic is well designed for just that. In addition to the adjustable keyboard you can choose to use the two X/Y pad. They can be routed however you like and add a lot of dimension. 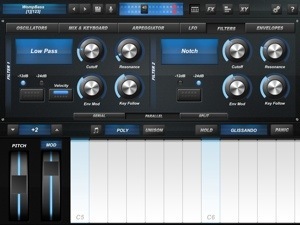 All in all Arctic ProSynth might not be the most versatile synth, but it is suited very well for those thick sounds. It gets big and loud like few others. There is always a place for a synth like this that specializes in doing something special, and doing it well. 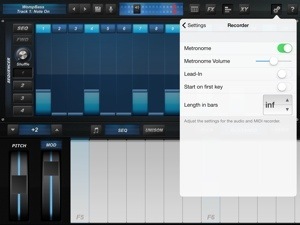 It supports AudioCopy/Paste, Audiobus, and MIDI in&out! Inter-App Audio will be on its way soon. Don’t let my observation of this being a distant choice for pads or the likes as Arctic is a fully loaded pistol ready to blow your head off in a way that just makes it a joy. We have seen far too many vintage analogue synth emulations or copies of things we have more than enough of. Arctic is different, and its the kind of different to be happy about. I say get it. Why not? Different is good. Here are some more screen shots. ghoulish Halloween projects with. Thanks for another great review! Appreciate the candid assessment of strengths and weaknesses, David.